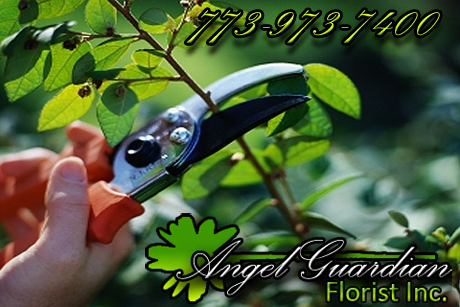 Angel Guardian Florist, Inc. offers a full-service Garden Maintenance Program to individuals and corporations in the greater Chicagoland area. Our Garden Maintenance Program includes artistic pruning, fertilization, de-weeding, plant replacement, garden cleanup, and seasonal updates, as well as disease, insect, and moisture level monitoring. From managing high-end landscapes to designing and executing extremely detailed gardening projects, we guaruntee a high attention to detail and an on-going immaculate garden environment. And as Chicago's leading florist with over 100 years of operation, we are intimately familiar with all garden care techniques that your beautiful landscape demands and deserves.